We all know where the term bucket list comes from – a list of items to tick off before you, well, kick the bucket. Perhaps a morbid subject, the fact of the matter is death is just one of those things we’ll all face one day. With only a limited amount of time on this beautiful Earth there’s only one question that really matters – what will you do with yours? Maybe it’s about time you stop spending your life sitting behind a desk and more time turning your dreams into a reality. Most of us think of a bucket list as a far-fetched, idealistic piece of paper, that you’ll get to later on in life. When you have time. One day. But the truth is, your bucket list should be a collection of life goals you should work towards. Every. Single. Day. To give you some inspiration (and hopefully a kick up the bum) here are ten unbelievable life experiences you should definitely be jotting down on your bucket list. So you’ve visited all the continents. Big deal. But have you touched two continents at the same time? 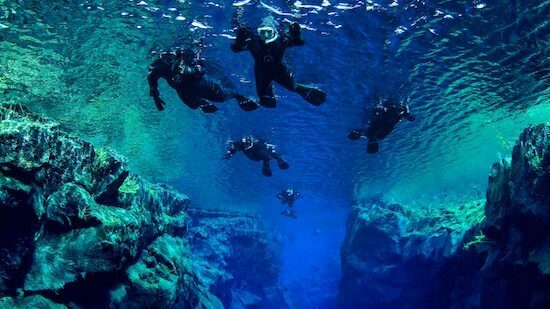 One of the top dive sites in the world, the Silfra fissure in Iceland’s Thingvellir National Park is a transcontinental once-in-a-lifetime experience. A crack between two tectonic plates, it’s the only spot on Earth where you can actually swim between the North American and Europen continents. If that’s not cool enough, the crack is known for having the longest underwater visibility on the planet, making it clear, fresh water a dream for divers and snorkellers. Since the water is filtered through underground lava for 30 to 100 years before it reaches the surface of the lake, it’s even clean enough to drink. Floating effortlessly along the gentle current of pure glacial meltwater, discover amazing natural sights from colourful green algae in summer to swimming beneath softly falling snow. Embark on the wildest adventure of your life with a trek through the Ugandan jungle to meet the largest primate in the world and one of our closest living relatives – the Mountain Gorilla. Living at elevations from 1 500 to 4 000 meter elevation, these gentle giants can only be found in a small area around where the countries of Uganda, Rwanda, and DR Congo meet. 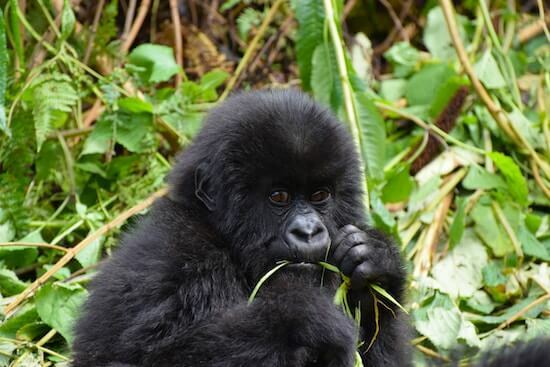 Unfortunately only about 1000 mountain gorillas are remaining in the wild today. While it may take between 3 to 6 hours of bushwhacking through the thick African forest to find them, that one-hour coming face to face with those intelligent eyes is an hour you will never forget. To see a Moutain Gorilla up close and personal in its natural habitat is an unforgettably unique and profound experience. Do I even need to go into why this should be on your bucket list? The grandeur of the Mother of the Universe is something all wanderlust souls should endeavor to encounter at least once in their lifetime. Over 60 million years old, the Goddess of the Sky offers an unforgettable adventure for those who seek it. While you might want to add “reach the top of Mount Everest” to your bucket list, there are (luckily) plenty of other spectacular ways to meet the world’s most famous mountain. Ways that don’t include climbing 8 848 meters to its peak. 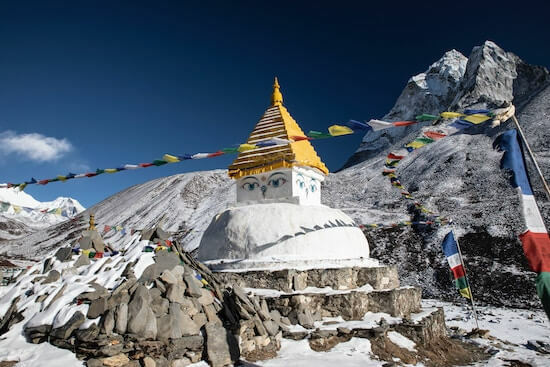 With our Everest Base Camp Trekking and Helicopter Trip, you’ll experience the artistic vibe of Kathmandu, local sherpa culture in tea houses, and the awe-inspiring sights of the Himalayas from a helicopter. Take a deep sea dive into history with a journey you’ll never forget – a manned submersible expedition to see the wreck of the legendary Titanic. For the first time in history, OceanGate Expeditions are enlisting the help of civilian ‘Mission Specialists’, who will actively support an exploration team’s mission to document the current condition of the Titanic maritime heritage site. This extremely rare opportunity is reserved for just 9 Mission Specialists, making it that much more special. 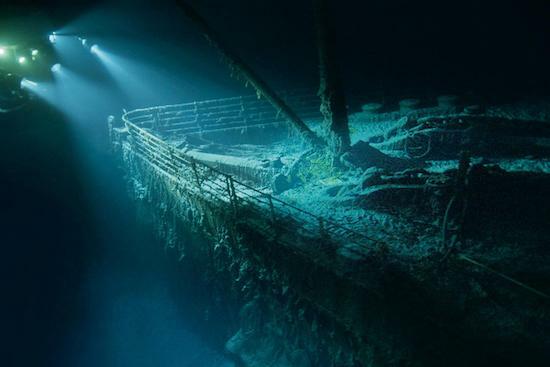 According to scientists, the Titanic wreck might not even exist in a few years time. A hungry rust-eating proteobacteria is eating away at the ship. Current estimates predict that by 2030 we will see a total deterioration of the vessel. Even more reason for you to get a move on! Is riding in a hot air balloon on your bucket list? Well we’ve got one even better. Swap your journey to the clouds with a journey to near space in a zero-emission, completely noiseless, private pod called Bloon. 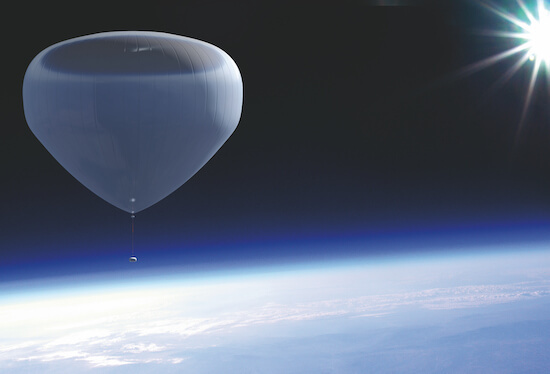 This innovative vehicle relies on a large ‘sail’ filled with static helium gas capable of lifting its capsule 36km into the earth’s atmosphere. If you were to drift much further than that, you’d be out of the Earth’s stratosphere completely! Previously reserved for astronauts, this near-space odyssey gives us mere mortals the chance to live out of our dreams of viewing Earth from space. 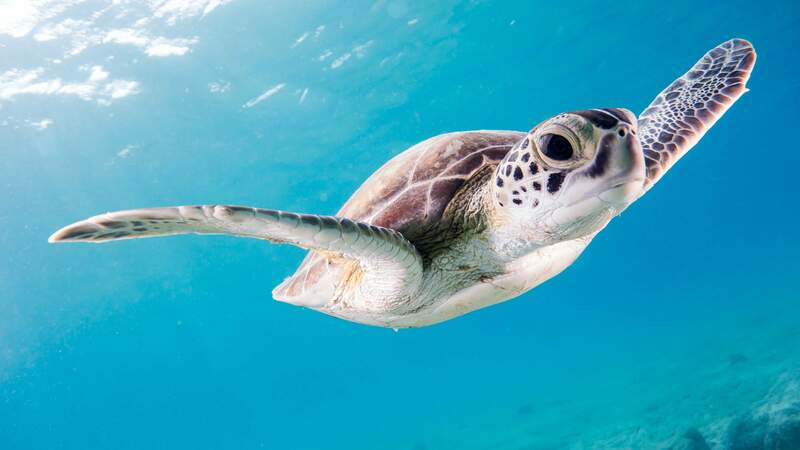 Nearly all species of the majestic sea turtles are classified as endangered. According to WWF statistics, tens of thousands of sea turtles are lost each year to overharvesting and illegal trade. Humans have really tipped the scales against the survival of these ancient mariners. Make a positive contribution in your lifetime by volunteering at the Maldivian Sea Turtle Conservation Programme. In this government-endorsed program, you’ll get work hands-on with these ocean angels, feeding them, weighing them and even releasing them back into the wild. Beach, sun, crystal blue water and making a positive contribution to the future of our planet. What better way to experience the city that never sleeps than with 52 000 other sweaty, crazy, hyped-up runners from all across the globe? 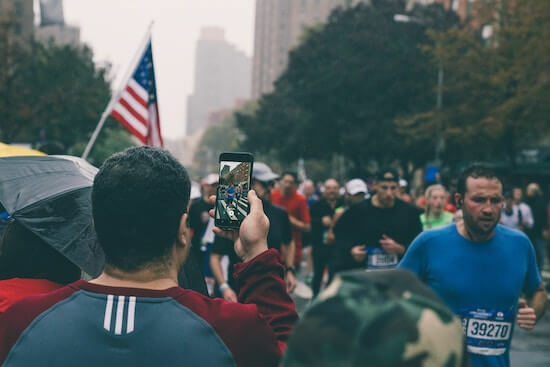 The biggest, and arguably the greatest, marathon in the world, The New York City Marathon is held on the first November and runs through the five boroughs of the Big Apple. One of only six World Marathon Majors, this 26.2-mile marathon is the ultimate bucket list item for sports enthusiasts. Each year nearly two million spectators line the course, rooting for the runners. Finishing at Central Park, amidst changing leaves and cheering fans is sure to be a moment you’ll remember forever. Add this to add to your bucket list – right MEOW! Tokyo is a city in itself is a destination that makes it to a lot of people’s dream travel destinations. In fact, a record 28.7 million tourists visited Japan in 2017, most of them including the capital city in their travels. From the futuristic, next-level sophisticated railways to the independent fashion boutiques in Harajuku, this magical capital city is a wonder for the senses. But there’s one thing you simply have to experience – an animal cafe. 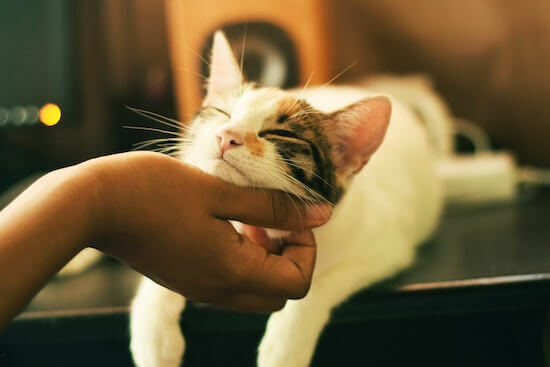 Originating with cat cafés, these charming destinations take cuteness to a whole new level, giving feline fanatics endless hours of cuddling, photo taking and ooing and awwing. The themed decor and treats are also something else, from enchanting cat-kingdoms to cat-shaped cookies. Puuuurfect. If cats aren’t your thing (or you’re highly allergic like me) don’t worry. Animal cafes in Tokyo have expanded to a whole host of creatures, from rabbits and goats to hedgehogs and snakes. Seriously. 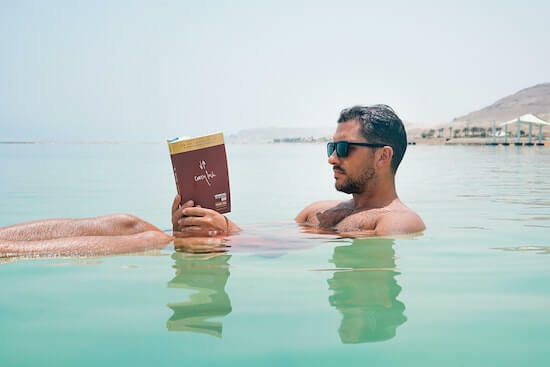 Everyone should float in the Dead Sea at least once in their lives before they’re… dead. A salt lake over nearly 430 meters below sea level, the Dead Sea is the lowest place on Earth. It’s also the deepest hypersaline lake in the world at 306 meters. Nestled between the country of Jordan to the east and Israel to the west, the unusually high salt concentration is about 9.6 times saltier than the ocean, which causes an unbelievable natural buoyancy that you just have to experience to believe it. And of course you need that quintessential photo of floating in the sea while reading the Jordanian Times newspaper. Not just an Instagram-worthy travel destination, this magical body of mineral-rich water is also said to have many therapeutic qualities and has even been scientifically proven to help treat a host of common illnesses. Lie back, let your troubles melt (or dissolve) away and relish the bathing experience of a lifetime. 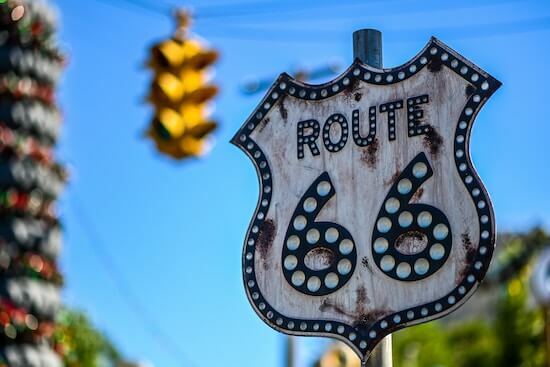 The road trip of a lifetime awaits you along the historic Route 66. Stretching from Chicago in the East to Los Angeles in the West, The Mother Road is filled with endless oddities and must-see places along the way. Today it has become a defining symbol of American culture, and a top bucket-list experience for travellers. Fill up your gas, turn off your phone, let the top down, and let the 3 940 km road take you to far-flung destinations off the beaten path. Life, the universe and everything in between seem to have a way of coming between us and our dreams. And that’s what makes having a bucket list so important. Having a visible list of your life goals is a way to keep track of your “inner compass” during the day-to-day grind of life and work. Don’t just scribble down some random ideas on a piece of scrap paper and shove it away at the bottom of a drawer somewhere. Have it visible at home and at work as a constant reminder of your goals. Revisit them and update them as you grow as a person. Don’t be afraid to put magical, extraordinary, dreams-come-true items on your bucket list. Those are usually the most fun! Remember, we’re all given one life – what will you do with yours?